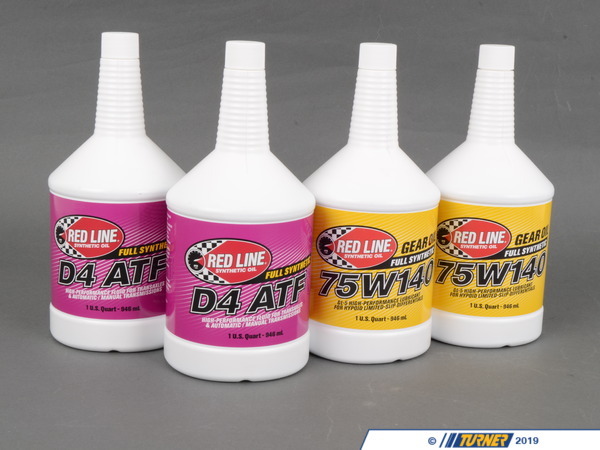 We have been using Red Line Oil in our street cars and race cars for years. Hands-down, it is the Number One brand of high performance lubricant for BMWs. We put Red Line Oil in our 80,000 mile street M3 and noticed smoother shifts, especially on 1-2 and 2-3 shifts. Also, our short shift kit is less notchy! 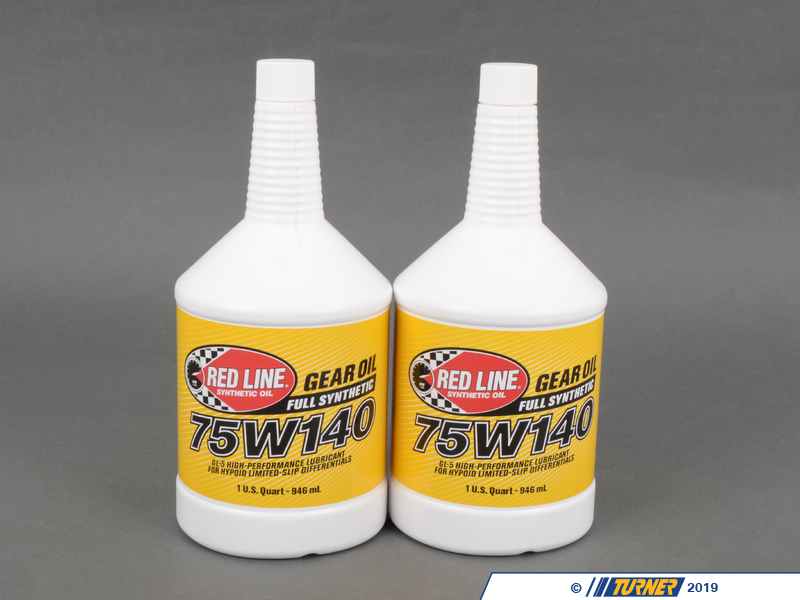 For our E46 M3 racecars we used RedLine in the transmission and diff. Some of our races can go as along as 6 hours and we're happy report outstanding results. To clear up any confusion this package is what we recommend for the E46 M3. 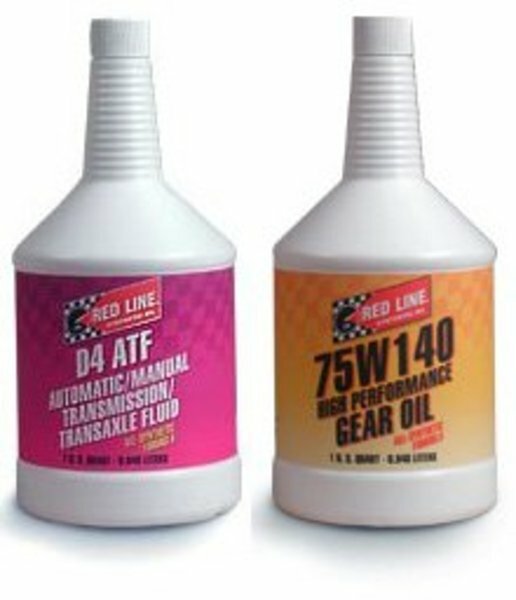 Not only do we not believe in 'lifetime' fluids, we believe that Red Line fluid will give you smoother shifts and as good or better protection for your transmission and diff internals than the factory fluids (factory fluid is also not available in a quart-sized container - we've tried). This package includes two quarts of ATF D4 and two quarts of 75/140. We have been using Red Line Oil in our street cars and race cars for years. Hands-down, it is the Number One brand of high performance lubricant for BMWs. We put Red Line Oil in our 80,000 mile street M3 and noticed smoother shifts, especially on 1-2 and 2-3 shifts. Also, our short shift kit is less notchy! For our E46 M3 racecars we used RedLine in the transmission and diff. Some of our races can go as along as 6 hours and we're happy report outstanding results. To clear up any confusion this package is what we recommend for the E46 M3. 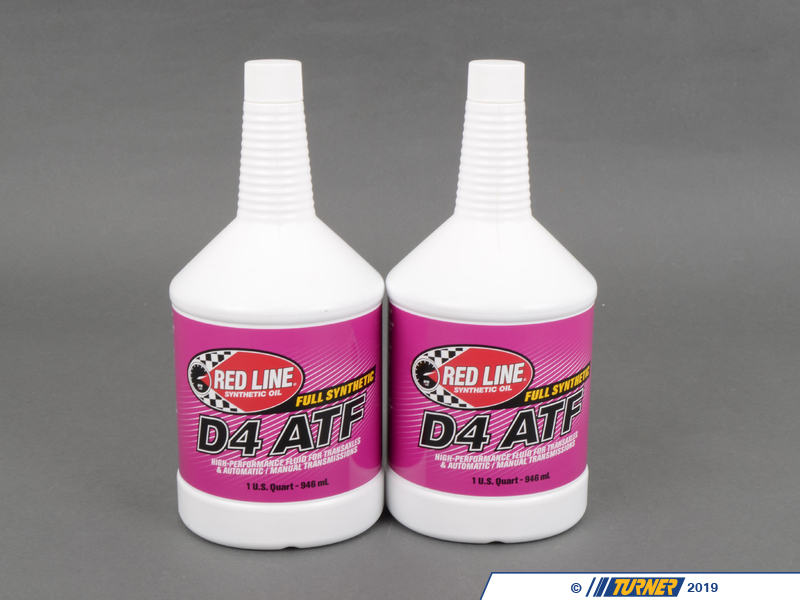 Not only do we not believe in 'lifetime' fluids, we believe that Red Line fluid will give you smoother shifts and as good or better protection for your transmission and diff internals than the factory fluids (factory fluid is also not available in a quart-sized container - we've tried).This package includes two quarts of ATF D4 and two quarts of 75/140.